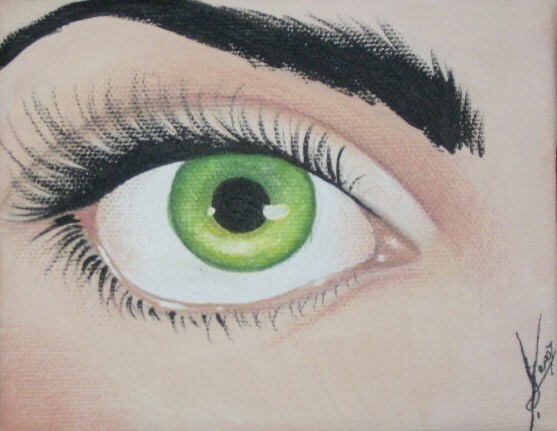 Another small piece depicting the "window to the soul". The colours in this miniature painting just pop (especially the brilliant greens)-- I wish the internet photo showed this a little more! The edges of the canvas have been lined with a lovely deep green bamboo and butterfly print origami paper, adding a special touch to this dramatic piece.